A handy gas forge for quick small jobs. Does not get hot enough to forge weld, however. 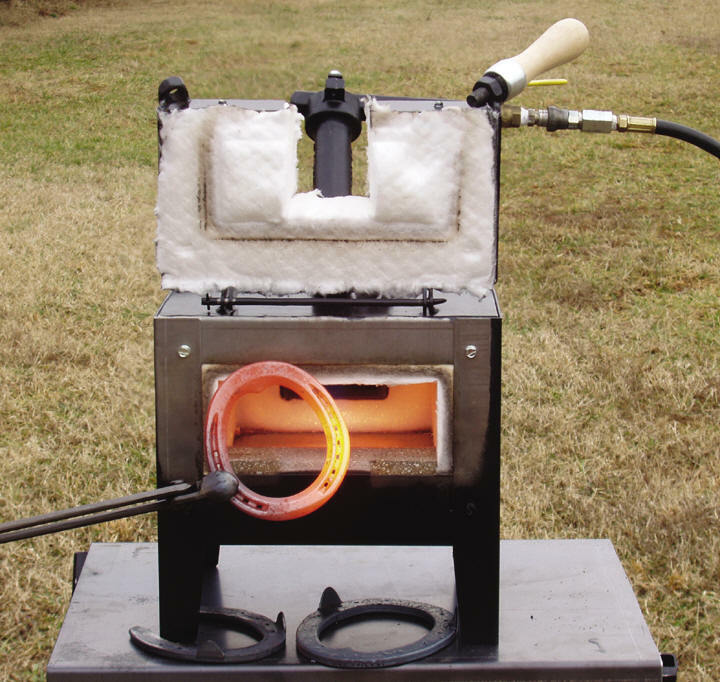 This single burner forge will heat and reheat metal very quickly during work cycle. The heat remains 2350 degrees into corners with no cold spots. There is a push button spark ignition built right in. The bar stock door in rear allows heating sections of bar stock. Larger pieces may be heated with the front furnace door open. Rear Bar Stock Port: 3" x 1-1/2"